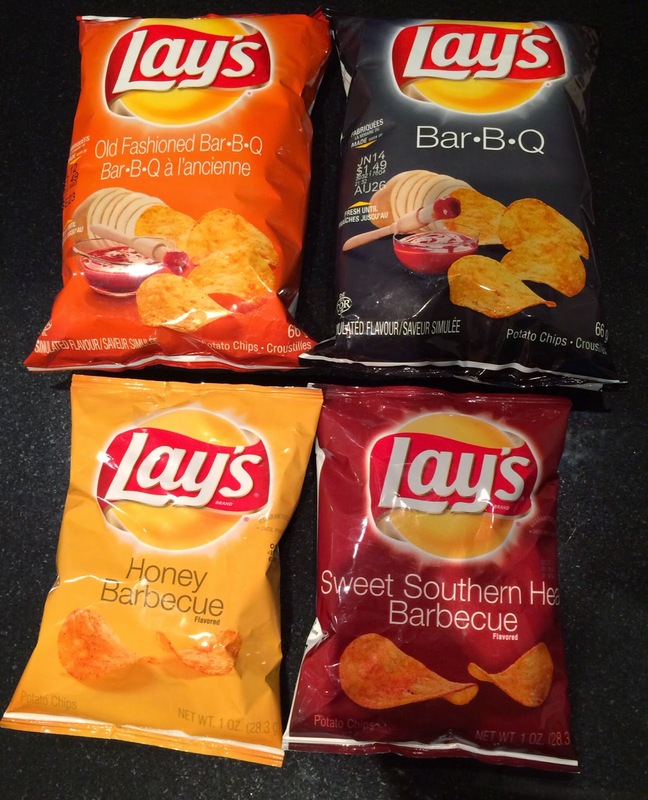 So, I've tried all the 4 BBQ flavors of Lay's potato chips, and here's my personal ranking. Sweet Southern Heat Barbecue had a nice balance of sweetness, sourness and spiciness, and the flavor was something new to me. Bar・B・Q was the one I'm used to and, following the classic Lay's chips, I'd choose this. Old Fashioned Bar・B・Q was because I like consommé flavored chips, but it didn't taste like BBQ to me. Honey Barbecue was due to the mustard, that I'm not a big fan of. When I compared the ingredients, I learned new things. Only Old Fashioned Bar・B・Q was labeled as gluten free. Honey Barbecue and Sweet Southern Heat Barbecue are not vegan as they contain milk ingredients(s). And Bar・B・Q had a lot listed; contains barley, wheat, mustard and sulphite ingredients.